We know that exercise is great for our minds and bodies, but some workouts can give the ultimate youth boost. Here in our exercise upgrade: youth boosting workouts we share the activities that will help turn back the clock. PILATES – This full-body workout will help improve flexibility, strength and posture, all of which can decline with age. It’s calming, so can keep a lid on high blood pressure, while the focus on deep breathing can lower cortisol levels – the stress hormone that causes your body to age faster than it should. ZUMBA – The connection between your left and right brain deteriorates as you get older. But crossing limbs in coordinated dance routines forces both sides of your brain to talk to each other, helping reduce those ‘brain delay’ moments. And doing something fun will always help you feel younger. REBOUNDING – There are more youth-boosting properties to this activity than just making your feel like a kid on a bouncy castle again. The energetic trampoline jumping increases muscle strength – including your heart muscle. What’s more, it improves circulation through your arteries, which can harden as we age, while being easy on your joints. WALKING – This easy weight-bearing exercise will keep you looking and feeling young inside and outside. Walking to lose weight has several other benefits. Bones can become weak and brittle, but putting some pressure on them through walking will help them stay strong, while your legs and bottom will benefit from a youthful lift. 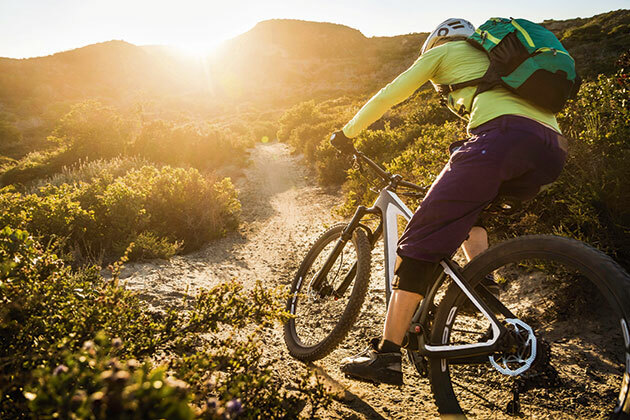 CYCLING – Metabolism can slow gradually from the age of 30, so jumping in the saddle is a great way to burn fat and calories – you can ramp through almost 700 in an hour – without putting pressure on your joints. And according to the British Medical Association it’s also good for keeping your heart youthful – cycling just over 20 miles a week could reduce your risk of heart disease by 50%. THAT’S CLEVER – Keep your workout short and sharp. Don’t workout for more than 30 minutes at 70% of your maximum effort, as doing more increases inflammation, which is linked to ageing.